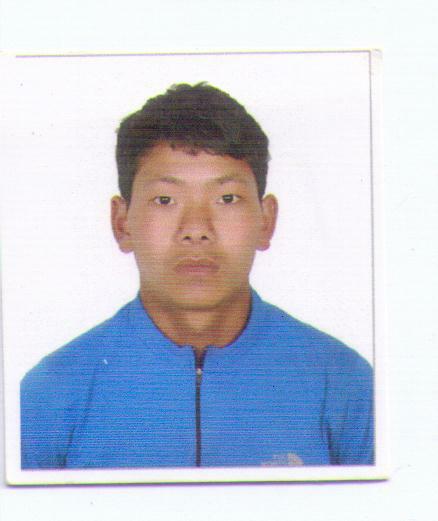 Pemba Sherpa has started his career since-2012 He has got experience in the field of trekking and mountaineering more than 4 years. 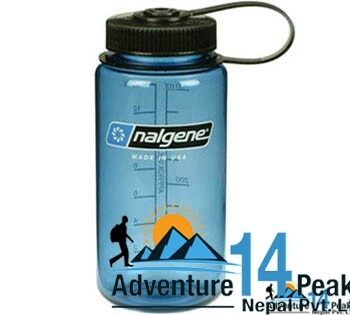 He has in- depth knowledge of all the trekking routes and climbing peaks of Nepal. 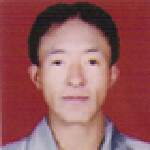 In our company he has been working as Trekking & Expedition Operation Manager. 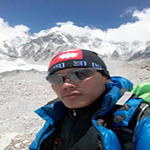 Being trekking and mountaineering specialist he is assigned his responsibility for the operation part. He efficiently handles the services to all our clients especially arranging all necessary permits for trekking and climbing, guides, cooks and porters etc. He also keeps track record of clients’ details and make sure that each client from Kathmandu arrival until departure is fully satisfied with the quality of service and has got the money's worth. 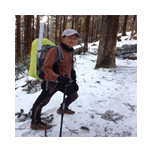 Holds Master’s degree in Accounts and Finance from Tribhuvan University, Narayan Paudel joined Adventure 14 Peaks in 2010 as Chief Accountant and Documentation officer. His main responsibility is to maintain accounting journals for General Ledger and Accounts Payables entries, input and check accounting entries for invoices to local suppliers. He is assigned with timely monthly consolidated financial statements, payments, cash-flow management reporting.He ensures payment documents are processed with appropriate supporting documentations, relevant approvals and logistics. He prepares all necessary documents and contracts of the company. He coordinates with external suppliers and prepares order entry to invoicing. He has in dept knowledge on documentation filing management system and its maintenance. 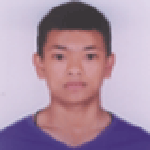 His responsibilities include maintaining inventory and a stock record of all trekking and climbing equipments stored in our office and prepares update reports to the Manager. 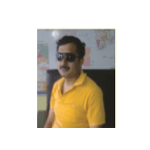 He has 5 years experience in Inventory department in our company. He also acts as a technical advisor on all equipment issues and assists the management team with equipment budgets and potential equipment purchases. He inspects all trekking and climbing equipment on a regular basis to make sure they are well complied with company safety policies. From time to time he issues purchase orders in accordance with our company policy. Personal Profile: is one of the most knowledgeable, experienced and professional mountain guides of our company. He has over 5 years of experience in the field of trekking and climbing. With his high sense of humor, exceptional ability in guiding profession and caring attitude towards his clients, he has earned highest praise amongst his clients. His English relating to topics on climbing and trekking is sufficient. 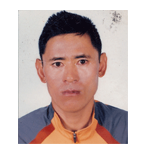 Personal Profile: Born and raised in the remote village of Charikot in Dolakha district, he is one of the most knowledgeable, experienced and professional Trekking & Peak Climbing Guide of our company. He has over 7 years of experience in the field of mountain adventure. He has got lots of positive feedbacks from the previous clients. He feels comfortable to be around and enjoys sharing stories and experiences with his clients during the trip. 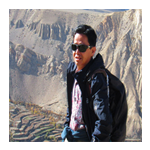 Personal Profile: Born and raised in the remote village of Charikot in Dolakha district, he is one of the most knowledgeable, experienced and professional Trekking & Peak Climbing Guide of our company. He has over 15 years of experience in the field of mountain adventure. He has got lots of positive feedbacks from the previous clients. He feels comfortable to be around and enjoys sharing stories and experiences with his clients during the trip. 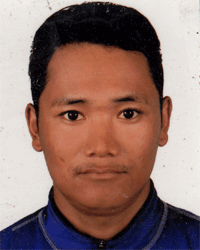 Personal Profile: Born and raised in the remote village of Gorkha district, he is one of the most knowledgeable, experienced and professional Trekking & Peak Climbing Guide of our company. He has over 8 years of experience in the field of mountain adventure. He has got lots of positive feedbacks from the previous clients. He feels comfortable to be around and enjoys sharing stories and experiences with his clients during the trip. 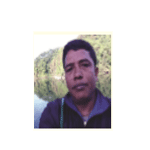 Personal Profile: Born and raised in the remote village of Lamjung district , he is one of the most knowledgeable, experienced and professional trekking guides of our company. He has over 8 years of experience in the field of trekking. He brings with him expansive experience and willingness to assist his clients with professionalism and dedicated service. Having trekked almost all regions of Nepal, his in–depth knowledge about the local culture and geography about inner Nepal is unmatched. 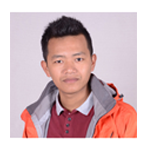 Personal Profile: Born and raised in mountainous region of Makalu , he is a professional trekking guide with over 7 years of experience. Hard work, dedication, passion and friendly attitude are some of his admirable qualities which have helped him grow on his profession. He takes great pride in providing excellent customer service and sharing his local knowledge with his clients during the trek. Apart from guiding service he also helps in cooking for those who go camping trek or climb at high altitudes above 3,500 meters. Personal Profile: Masters Degree in Religion and Culture, he has worked in the tourism industry as a government - approved Tour Guide for nearly 6 years. He believes in making the tour an enjoyable and entertaining experience for the clients, and sharing information about the cultural heritage of Nepal. His sense of humor and friendly attitude makes him popular among the clients.